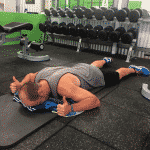 There are a number of personal training services that we offer at Moonee Valley Health & Fitness. We have a fully equipped gym that has all the latest fitness equipment and renovated facilities for our studio personal training, and we also offer mobile personal training all throughout the City of Moonee Valley and City of Maribyrnong. MV Health & Fitness is the local experts in personal training, group fitness programs and corporate wellness initiatives. Whatever your health and fitness needs are MV Fitness has a suitable program for you that Guarantees Results! Our One on one Personal Training is 100% focused on you and your health and fitness goals. We want you to see and feel results fast so combining both fitness and a healthy diet you will be sure to reach where you want to be and most likely more in a matter of weeks. Train the way you want to be trained – we will not yell at you if you don’t want us too! Motivation and support to give you that push you need to life changing RESULTS! Our Moonee Valley Personal Trainers are experts in their field and have years of experience with training people from all shapes and sizes and fitness levels. No matter what you want from your fitness program the end result will always be the same. You will SEE the difference and most of all FEEL the difference in your general day to day well being. Our weight loss fitness programs have been designed to give you maximum chance to lose those unwanted kilos. You want to feel good and feel the confidence in your body and with the motivation and our knowledge of your fitness program along side of your diet you will notice your body fat gone for good! Have a personal approach to your weight program with your own personal trainer setting up a strength and conditioning program suited to your body and your goals. If you want muscle gains, to build your whole body and overall core strength or just tone up, this is the perfect solution to get the body to you are after. If you are looking to get off the couch or away from your desk and get active our 1 on 1 personal training sessions can your your the break you need. Once you start exercising you will notice a change in your motivation and general well being which ultimately leads to a great lifestyle. Exercise does not need to be serious and but it does need to be effective. Our personal trainers are not only knowledgeable about all things health & fitness but they also have the skills and creativity to keep you sessions interesting and fun. 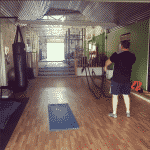 We also offer: Boxing training, Running training, Emergency service fitness test training and more. Please contact us today to speak to our team and ask about how we can help you. Our approach is to push you to your limits within your capabilities and leave you after each session feeling like you have had a awesome workout and wanting to come back for more! We might say it alot but it’s true, we will guarantee you will be surprised in what you can achieve. If you’re tired of being overweight, out of shape, having low energy, not being as active as you used to be, being unable to breathe or walk long distances… maybe you’re finally ready to take your weight loss seriously. Our professional trainers at our personal training studio can help you look better, feel better, feel younger, and have a whole lot more energy. Train with your best friend, husband, boyfriend, girlfriend, child, work colleague. Enjoy the support of a buddy while you both learn to exercise and eat correctly and get results. Training with a buddy system will make sure you both show up every time, be able to share the experience of all your hard work with someone to reach your goals together — and, you get a discounted price on your training program. Training with other members of your family is a great way to set an example of being fit and healthy for your entire family! Buddy personal training is every bit as intense as our private personal training and we guarantee you will both get great results while you learn how to stay fit forever. If you and your buddy want to start exercising together contact us today! Click here for more information about our Private Small Group Personal Training.